← Violência em Copacabana: para onde vai nos levar? This past week saw much backing and forthing about the city’s Olympic preparedness, just six weeks away from the first World Cup game, to be played in São Paulo (Rio’s first game, Argentina vs Bosnia and Herzegovina in the remodelled Maracanã stadium, is set for June 15). Last Monday, the night before International Olympic Committee member John Coates laid into the Marvelous City (he later softened), mayor Eduardo Paes was already on the defensive. 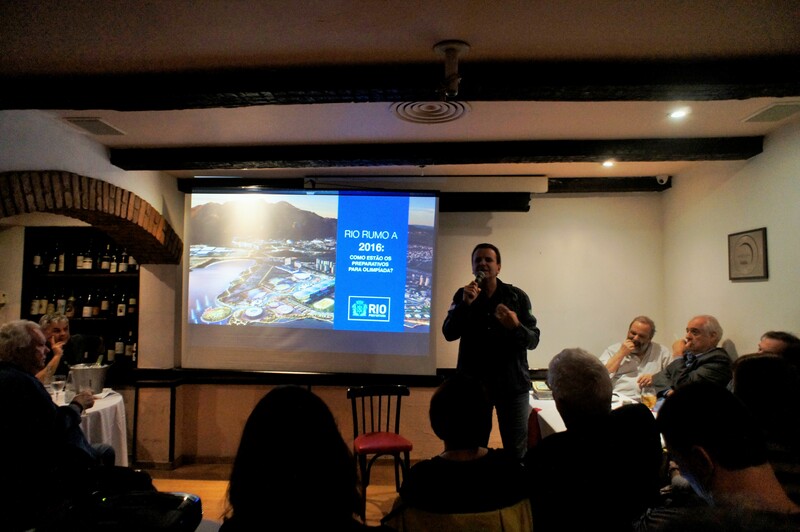 Speaking at the OsteRio debate series, he went into great detail regarding the city’s preparations and the post-event legacy, presenting a 20-minute flyover film of the new Transcarioca rapid transit bus lanes connecting the Olympic Park to Rio’s international airport. The Transcarioca will be inaugurated later this year. It’s safe to say that difficulties in meeting deadlines stem from Brazil’s red tape and poor coordination among different governmental spheres. Most likely, corruption has also played a role, since delays translate to higher costs and hasty oversight, benefitting contractors and those they pay off. So far, no scandals have arisen on the Olympic tab, but the Delta construction company, accused of corruption elsewhere (tainting former Rio governor Sérgio Cabral), was forced to abandon its Maracanã renovation work in 2012, leaving Andrade Gutierrez and Odebrecht constructors to complete the work in time for the June 2013 Confederations Cup. Paes blamed the federal government for funding delays on the Deodoro Olympic facilities, but promised they’ll be ready “way ahead of time”. Without naming companies or concessions involved, he emphasized the role of the private sector, claiming that the lion’s share of Olympic spending is not coming from taxpayer pockets. As he illustrated, Rio de Janeiro’s priority for this mega-event is, in addition to timeliness, the Olympic legacy. That legacy centers on public transportation and mobility in general. While cariocas complain bitterly about the traffic snarls that the mayor has caused with construction and by taking down the overpass that snaked between the city center and the bay, they may eventually find that it’s much easier to get around, carless, in than it was in 2008, when Paes was first elected. The city will gain four new dedicated bus rapid transit systems, extension of an existing subway line to Barra da Tijuca, a downtown trolley network, two favela cable car lines, a rapid drainage system for the chronically flooded, centrally located Praça da Bandeira area, improved suburban trains and harbor ferries, and a more efficient bus system. As the flyover video dragged on, Paes mentioned how little he knew of the West Zone Jacarepaguá area, early in his career as a public servant, since he grew up and went to private school in the South Zone. Then he proceeded to reel off the dozens of remote neighborhoods through which the Transcarioca will pass, speculating that few of those present (mostly South Zone residents) would know that geography. 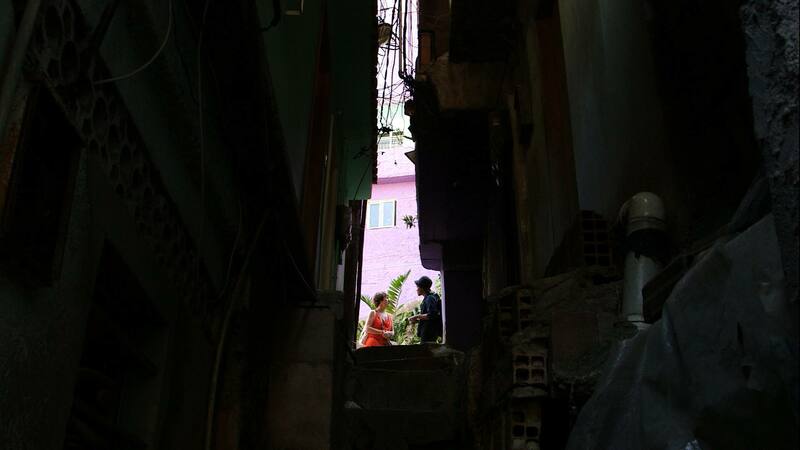 A longtime fear of violence and the Tijuca Massif that separates Rio’s North and South Zones have indeed kept many cariocas in the dark about the names and the character of many city neighborhoods. Improved mobility, the mayor seemed to be suggesting, will change this state of affairs. The mobility investments, if carried out successfully, may become significant. Yet they were part of an ambitious, much larger legacy envisioned a few years ago. This O Globo newspaper article discusses unkept Olympic promises. Still, it leaves out two unfulfilled legacy vows: the cleanup of the polluted Guanabara Bay and the Morar Carioca program upgrade of all Rio’s favelas (from 800 to a thousand, depending on definitions) by 2020. Asked about these at the OsteRio debate, Paes responded that sanitation is the responsibility of the state government. Even so, he added, the city has taken on West Zone sanitation (with state approval), awarding work to a private concession, which is now creating that infrastructure. OsteRio participants urged him to do likewise for the bay, chock full of trash as well as untreated sewage. In Rio de Janeiro, only 30% of all sewage is properly collected and treated. The mayor claimed that the almost-defunct Morar Carioca program was never part of the Olympic legacy, though an official city site still says otherwise. Clearly the initial vision of the Olympic legacy was overly ambitious and priorities had to be determined, as time went on. The choice of transportation over housing has never been debated or publicly explained, however. Some observers conclude that the choice was made to benefit construction companies and real estate developers. One can only hope now, as the Olympic window of opportunity begins to close, that attention will be given to the places that people come home to, once they’ve moved around the city. After all, one in five Rio residents, over a million people, live in informally constructed housing. Learn more about the informal part of the city soon, when RioRealblogTV airs a second video on our YouTube channel, about favela alleyways. Your blogger spent an afternoon in the becos of Rocinha favela this past week, watching residents squeezing through incredibly narrow spaces. The experience served to bring home just how little those of us who live in the formal city know about life in favelas. This entry was posted in Brazil, Transformation of Rio de Janeiro / Transformação do Rio de Janeiro and tagged Eduardo Paes, Guanabara Bay pollution, Morar Carioca, Rio de Janeiro Olympics, Rio de Janeiro ready for World Cup, Rio de Janeiro ready Olympics, Rio Olympic legacy, Rio Olympics, RioRealblogTV, Simon Jenkins. Bookmark the permalink. This is Rio, what could possibly go wrong? The Pope has blessed the carioca. heheh we shall see…ooops we ARE seeing! Julia. You are a midwife to whatever may come. I wish I were there.